This is a reverse glass painting; paint is applied onto a piece of glass which the image is to be viewed from the opposite side of the glass. This art form was introduced from west to China in the Qing dynasty and likely by missionary Giuseppe Castiglione. 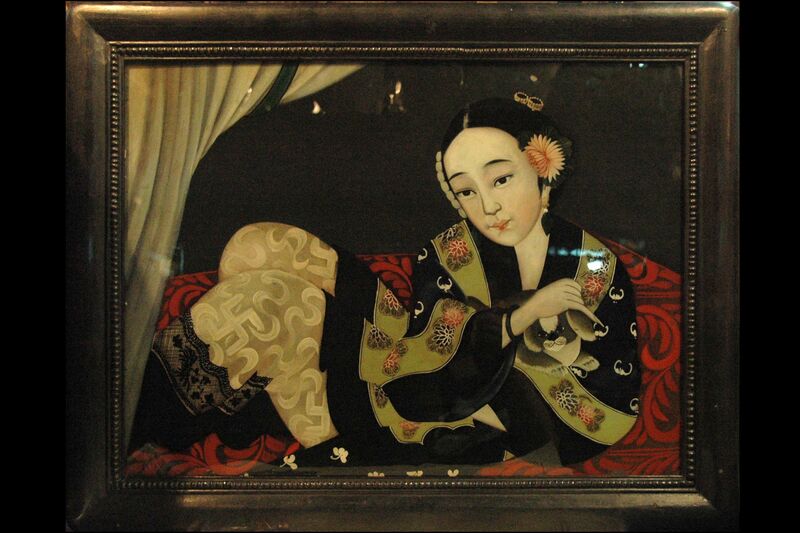 Being a Chinese court painter, he was a major influence in the oil painting history in China.